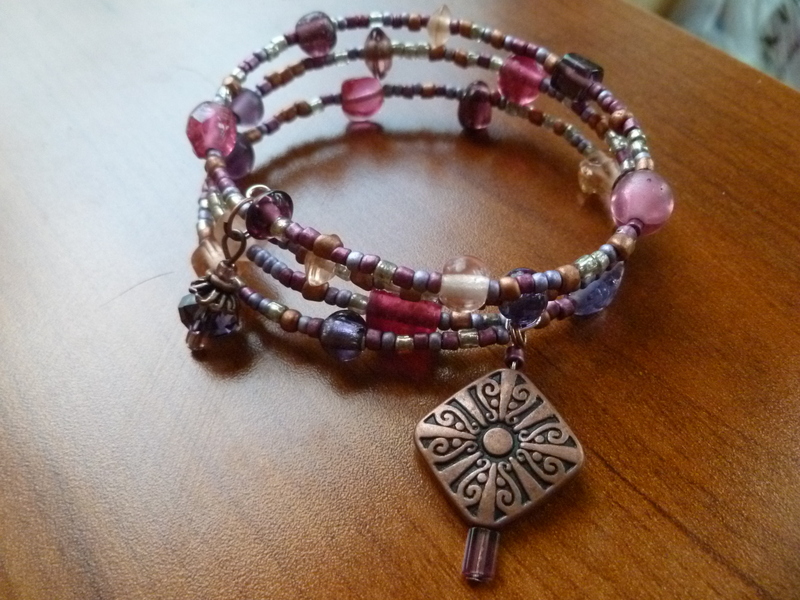 This memory wire bracelet features a variety of glass seed and other beads in purple, lavender, pink, rose, and metallic hues. The larger charm is a metal bead. This item is not for sale, but can be replicated.